Your Vehicle Is an Extension of You! 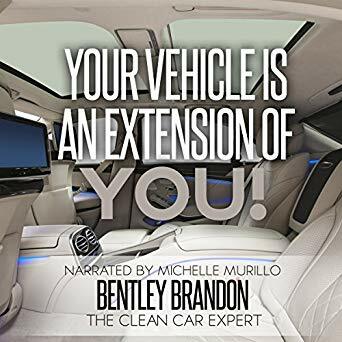 is an all-encompassing book that addresses the philosophy of proactive auto care and how our vehicles reflect how we see and the strategies we employ to improve ourselves. As long as we improve ourselves, we improve our families and communities. We improve driving and motor safety overall. 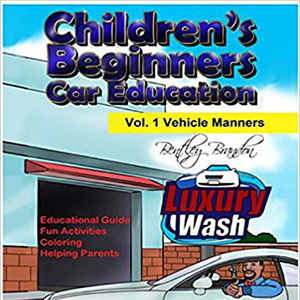 We also connect with our children in a fashion that is applicable far beyond simply keeping the vehicle clean; this is addressed in tools noted in the book such as Bentley Brandon’s “Backseat Pledge”. We have to have a vehicle mindset. Second only to our house, a vehicle is the most significant investment we make. We have to consider that auto care is still a hands-on art and science. Machine washing really destroys paint jobs and chrome, and leaves years of debris that could easily be removed by hand. We have to remember there is a respect we have to have for our vehicle, our passengers, and ourselves. Our passengers need to respect each other, our immediate safety, and the focus needed by the driver to perform accordingly. This ensures safe travel and a peaceful driving atmosphere. With Bentley Car Care tips, we can generate checklists to address and assess where we are as people, vehicle owners, passengers, and fellow motorists as far as safety and safeguarding the quality of the vehicle in which we drive or ride.